Carolyn and Claire are two sisters on the Memory Ball team who are caregivers to their mother Jane, who was diagnosed with early-onset Alzheimer’s in 2008. The rough transcript below is of a speech given after the Alzheimer Society of Toronto screened the documentary, the Genius of Marian. 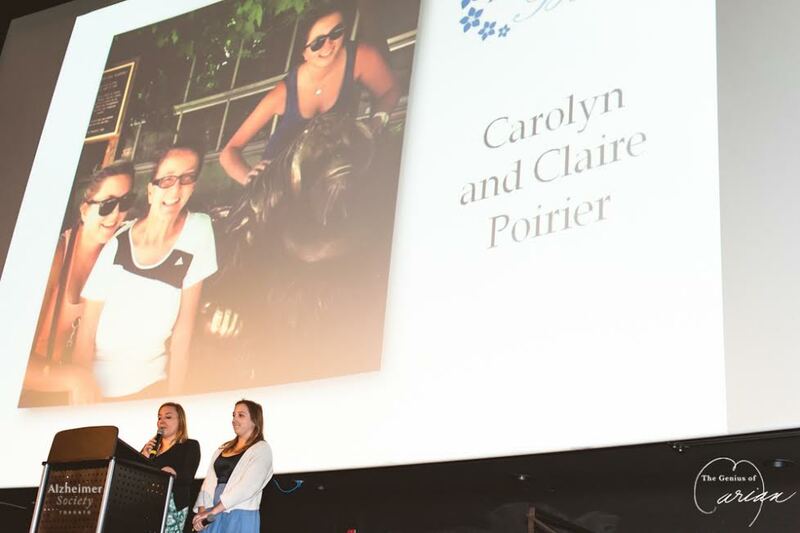 [caption id="attachment_2488" align="aligncenter" width="978"] Carolyn and Claire Poirier at the Genius of Marian Screening, September 16, 2014[/caption] Carolyn: Thank you to the Alzheimer Society of Toronto for having us here tonight. We are honored to be a part of such a fantastic evening, for a cause very dear to our hearts. Alzheimer’s disease has been in our lives for well over a decade, which considering, Claire is only 20; it’s been quite a while. Our grandfather was diagnosed first, in 2000, and as in many people over 70, it seemed almost normal to us. As a carpenter in his working years, he spent his time measuring and re-measuring door frames and table heights, right up to the end. He passed away 5 years after the diagnosis, and maintained his pleasant and happy demeanor throughout. Although heartbreaking, it felt natural; he had lived a meaningful, honest life. 19 Mar How Are You Getting to Andrew Richard Designs? 21 Jan JANUARY 21, 2013 | To an Inspiring New Year!